Surbhi heads up Sweeney Miller’s Newcastle office and is the Partner responsible for the Commercial Department. Having worked at Sweeney Miller since 2007, she joined Paul as a partner in 2013. 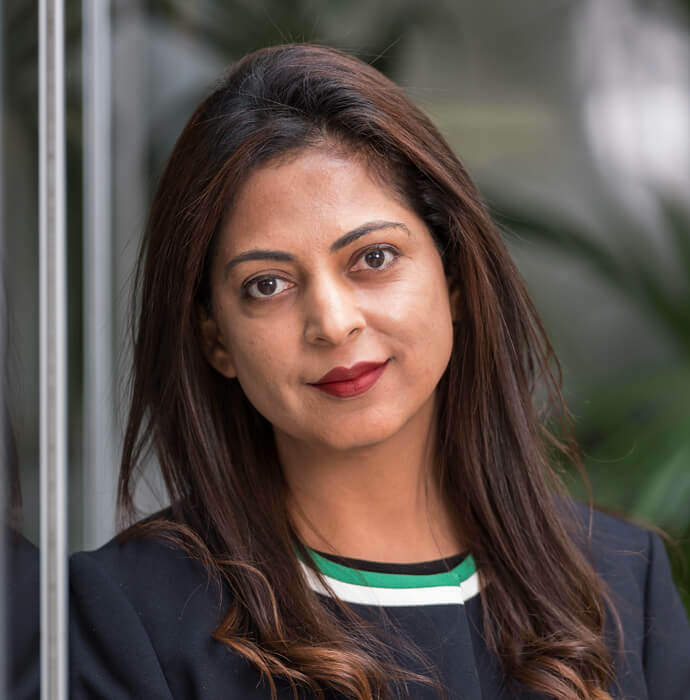 Surbhi has extensive experience in all aspects of complex commercial property matters including commercial conveyancing, leases, business sales and acquisitions and investment transactions. Surbhi advises developers, landlords and tenants on a wide range of commercial property, landlord and tenant and general commercial issues. She has over 10 years’ commercial property experience and regularly deals with a wide range of matters involving land developments including options, overage and pre-emption agreements. She takes the time to understand the client’s commercial objectives so that they can tailor her advice to their business needs. Surbhi’s natural people skills and ‘can-do’ attitude has ensured that her clients get the right advice and guidance to enable them to make the correct commercial decisions. Customer service has been brilliant, thanks for making the process so smooth from start to finish! Have used your services 3 times now and wouldn’t hesitate to use again. Thank you!